Obituary for Alma King | Glunt Funeral Home and Crematory, Inc.
Alma King, 92, passed away July 8, 2018. She was born in Brandonville, WV and lived in Akron, Ohio since 1951 with her beloved husband of 66 years, Clayton. She moved to Erie, PA to be near her daughter, Sherrie and her husband, David, in 2014. 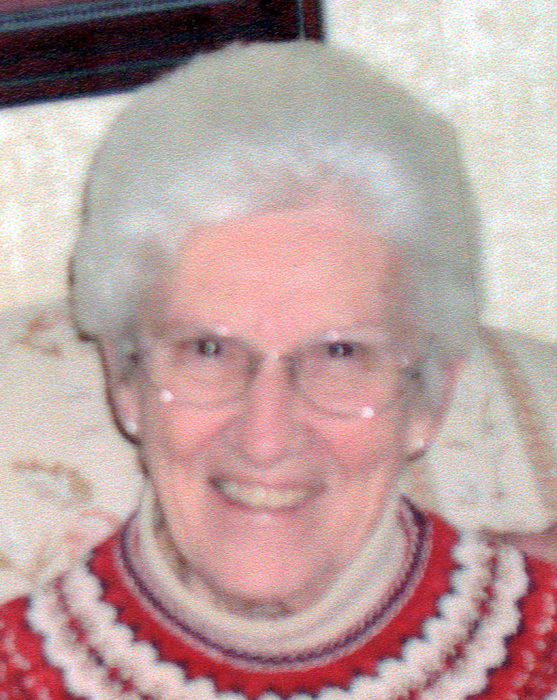 She was a member of Oak Hill United Presbyterian Church. She was preceded in death by husband, Clayton, parents, Alice and Martin Cupp, sister, Mary Barnes and brothers, Charles, Daniel, Robert, Ray, Martin and Ralph Cupp. She is survived by her daughter and son-in-law, Sherrie and David Smith of Edinboro, and grandsons Ryan Smith of New York, NY and Eric Smith and his wife, Gracyn, of Charlotte, NC. Her grandsons were truly the joys of her life and she was very proud of them. The family will receive friends on Monday, July 16, 2018 from 10 a.m. to 12 p.m. at Hopkins Lawver Funeral Home, 547 Canton Road, Akron, OH. A funeral service will be held there at 12 p.m. Burial of ashes will follow at Hillside Memorial Park. Memorial contributions may be made to the Juvenile Diabetes Foundation, 6100 Rockside Woods Blvd., #445, Independence, OH 44131. The Glunt Funeral Home and Crematory, Inc. is in charge of arrangements in Edinboro. To send condolences please visit www.gluntfuneralhome.com.